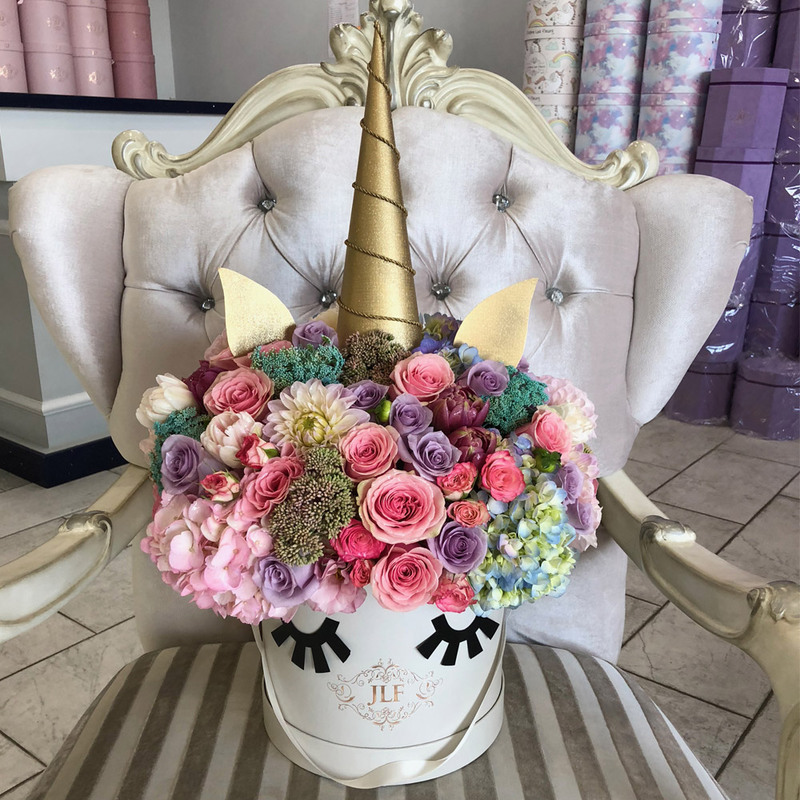 Make today or any other day magical-filled with the JLF Unicorn arrangement! This colorful and unique arrangement is composed with pink and lavender roses, pink and blue hydrangeas, purple tulips, blush dahlias, and a few other accent flowers to make it one of a kind. The arrangement in the image is in the medium size box.